Would you like to book Fiona for a talk? As a Certified Trainer, Fiona regularly shares her back to basics lifestyle of growing vegetables, chicken-keeping, pig rearing, making butter, baking bread, making jam and lots more at her talks. 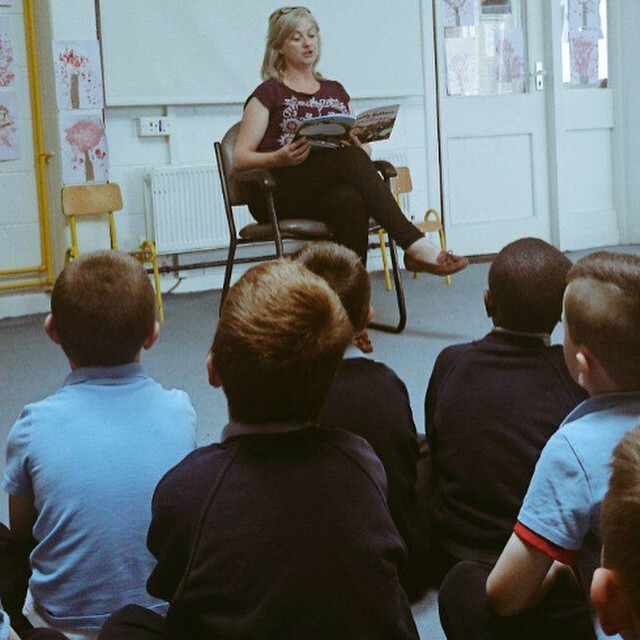 One of Ireland’s best known food writers and authors, Fiona has published eight books since 2013. 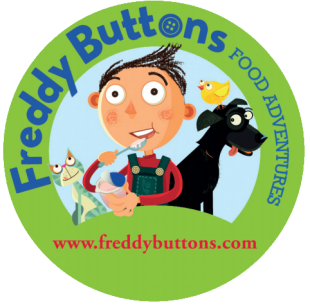 She runs her own media and marketing company (Tumbledown Media) which promotes the world of Freddy Buttons, a character created by Fiona in 2015 to promote the good food message to children under 8 years of age. 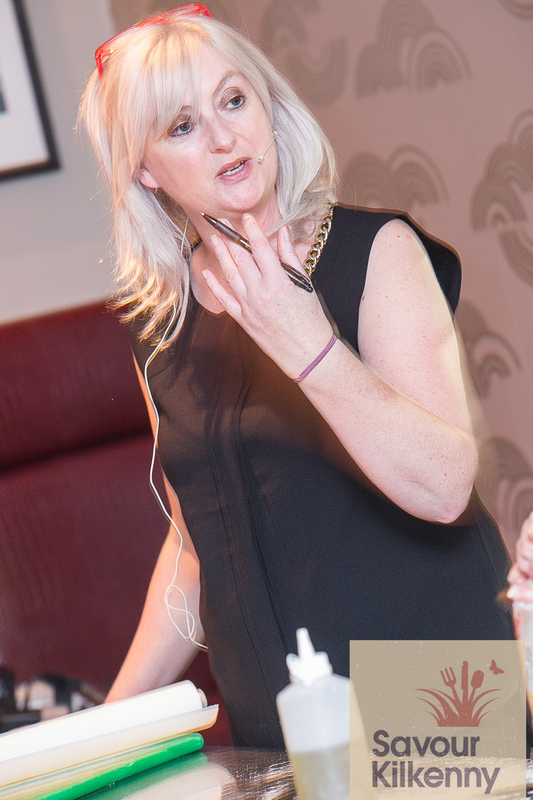 She is Food Correspondent with KCLR96FM, a feature writer for Irish Country Magazine, a restaurant reviewer for TheTaste.ie and is part of the judging panel for the Restaurant Association of Ireland’s annual awards. Fiona recently won a Gold Award in the UK for her first set of Freddy Buttons books. 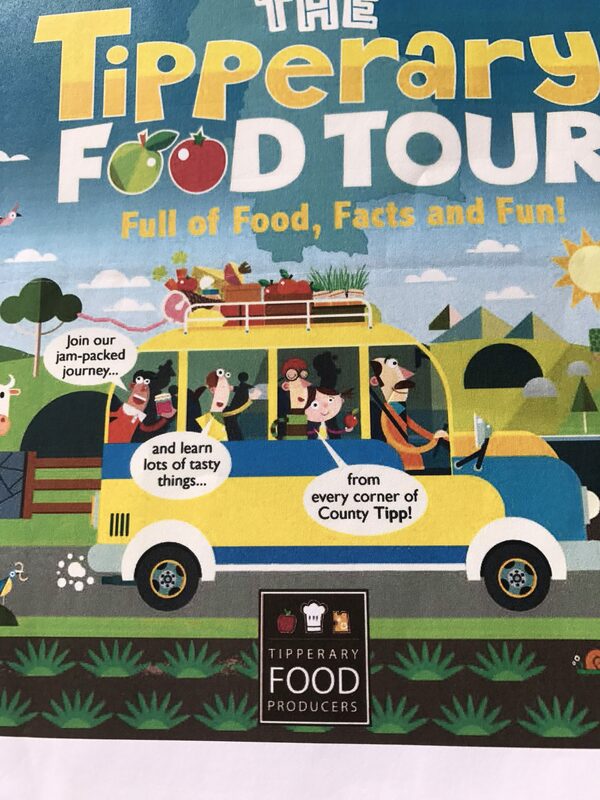 Commissioned by the Tipperary Food Producers, with the assistance of Tipperary Local Enterprise, Tumbledown Media recently published Fiona’s latest commission “Tipperary Food Tour”. Please get in touch if your organisation would like to publish it’s own book. BELOW IS A SAMPLE OF SOME OF OUR CLASSES. 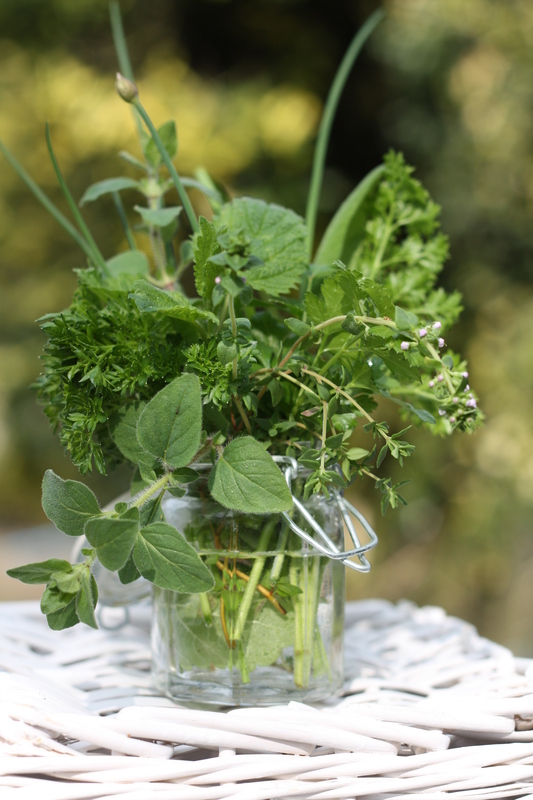 Grow Your Own Food – Growing vegetables, chicken-keeping, pig rearing, making and baking your own bread, butter and jam. Rearing a turkey in the garden for Christmas. How far would you go? How realistic is a self-sufficient lifestyle in today’s world? Find out at this talk. 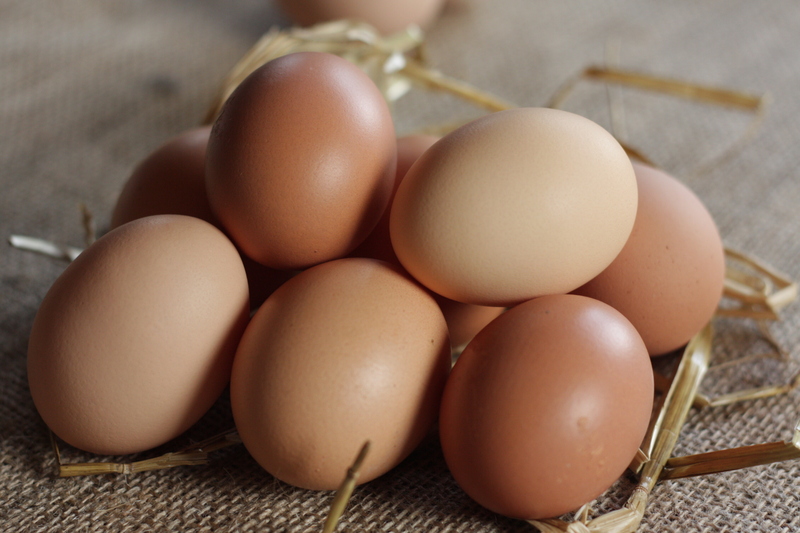 Keeping Chickens for Beginners – have you always dreamed of walking out into your garden and collecting fresh eggs? Let Fiona help you turn your dream into a reality. From Blogs To Books – fancy taking up blogging or writing a book? In this frank and open talk, Fiona will share her experiences of blogging, what getting a book deal really means and lots more in this interactive session. Blogging and Social Media – we are constantly warning children of the dangers lurking within social media, but do we take the time to show children how to use social media to their advantage? There’s no denying that social media is here to stay, and as a mother of four and an avid social media user, Fiona will advise on the best ways for children to make social media work for them. Having attended the Children’s Media Summit in December 2017, Fiona is equipped with the most up to date social media trends and pitfalls for children and young adults. 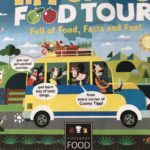 Readings from the Freddy Buttons book series (under 8s) including a “touch, smell and feel” session with food items such as eggs, honey frames, vegetables etc. Fiona is also a certified Adult Literacy Tutor and please rest assured that all enquiries/bookings are treated in confidence. To make an enquiry regarding attendance at a launch/opening/food event, please email Elaine@tumbledownmedia.com with your requirements. 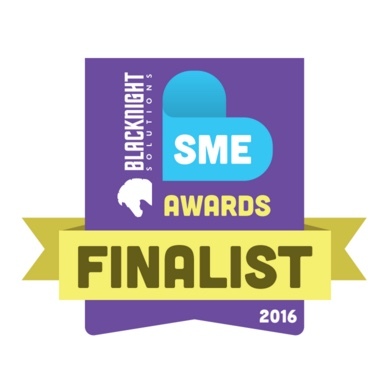 Note: Each year Fiona will MC a number of charity events free of charge – feel free to ask. 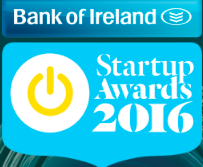 Phone: 085 1641811 to speak with Elaine regarding your booking.